On Thursday, March 28, Arnis Mangolds of C-2i Inc. came to talk to our class about robot design. He discussed design decisions for the Lemmings and Talon from his days at Foster-Miller as well as the design of his company's SeaOtter. While we won't be taking our robot into rivers, lakes or surf zones, there was much to be learned about constraining problems and designing the best solution to fit needs and requirements. 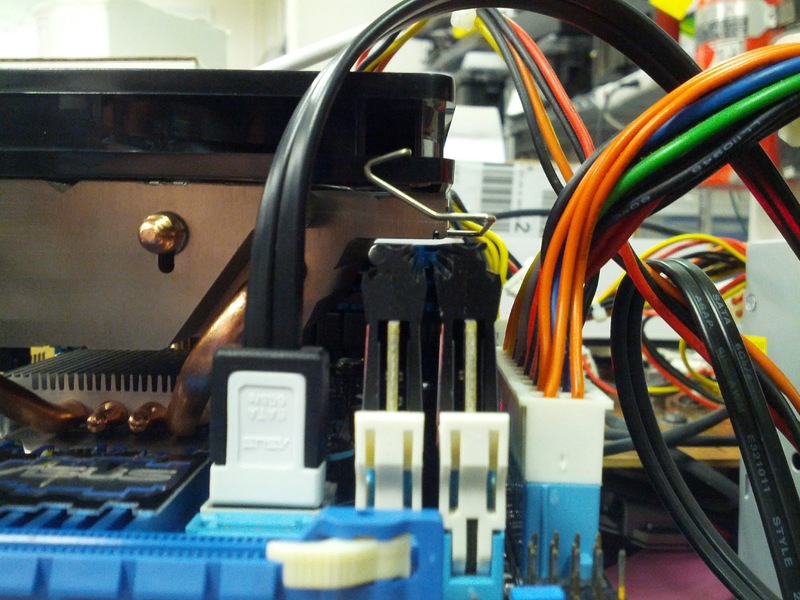 Our mid-project review video was included in today's Video Friday post on the IEEE Spectrum Automaton blog. If you reached our blog through that post, welcome. Stay tuned for updates on our progress towards the June competition. We have just released our mid-project review video, showing the Rover Hawk moving through 10" of sand, over 5" of pea gravel, and up and down 30 degree inclines. 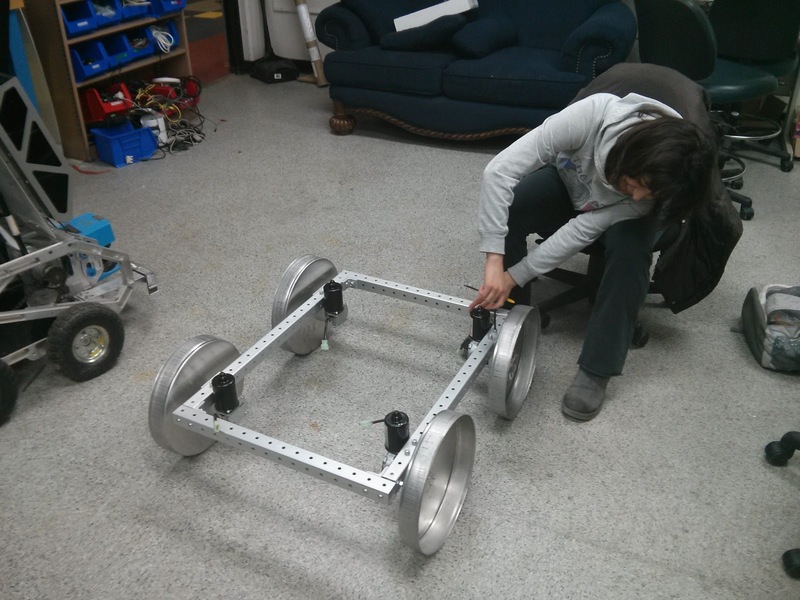 We are already redesigning the rover to make it move even better. Yesterday, we put the rover through some of the test courses at the NERVE Center, including gravel, sand, and the inclines of the splash pools (without the water -- we're definitely not water sealed). We're editing a video now, which will be posted tomorrow. Watch for it. It has been a very long day here in the lab. The motors, controllers, and encoders are all wired up. The motors are now spinning and attached to the chassis. 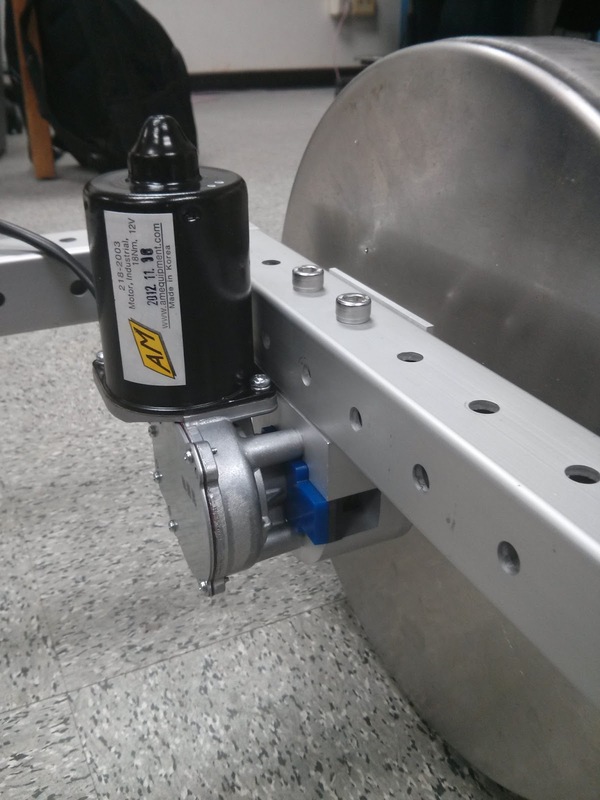 The motor mounts are installed and the encoders are installed on the motors. More to come!